The Whisky Tumblers are a delicate curved design with double heart shaped cutting and two Swarovski crystals bonded on to the glass. There is a space for engraving in each heart where they can be personalised with any wording, logo or crest. 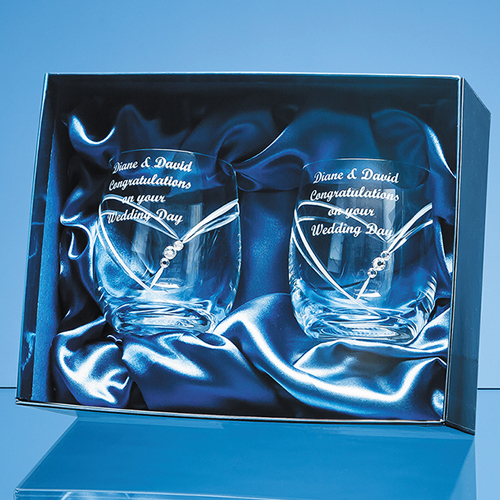 celebratory wedding or engagement gift.